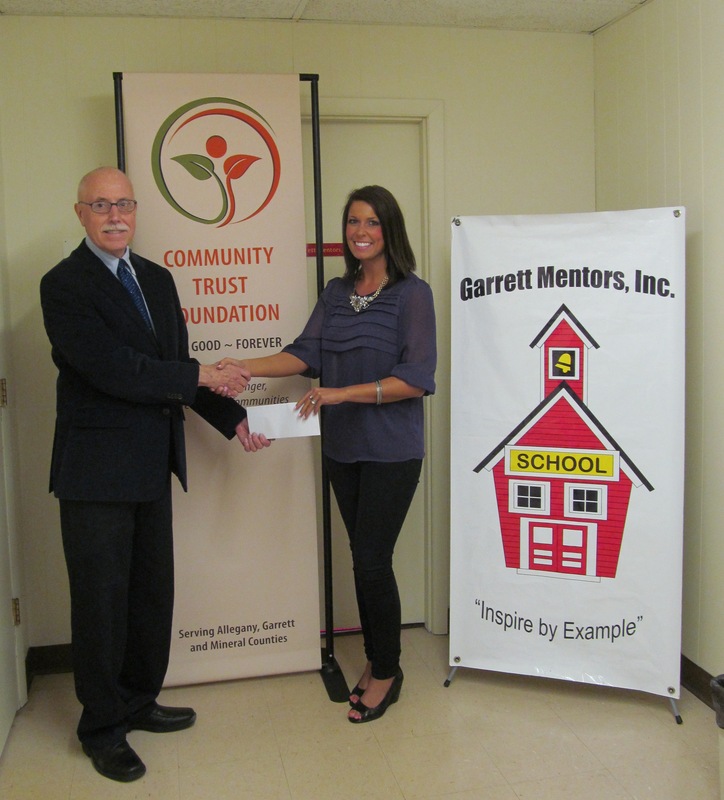 Community Trust Foundation | Garrett Mentors, Inc.
We were honored to attend the Community Trust Foundation Humanitarian Leadership Award dinner honoring Mr. Olen Beitzel on September 4, 2014. The Community Trust Foundation serves Allegany and Garrett Counties in Maryland and Mineral County in West Virginia and has made it a mission to to strengthen the region by working in partnership with donors and community groups to: Build philanthropic resources, Connect donors to organizations/ programs they care about, Make effective grants that impact needs and to Provide leadership to address community issues. It was a wonderful evening honoring Mr. Beitzel, his family, his business, leadership and philanthropy and all of the good that CTF does in our community! We are the proud beneficiary of a Community Trust Foundation award in the amount of $20,000 funded by the Naylor Family Fund and are so grateful to this organization for supporting the children we serve. 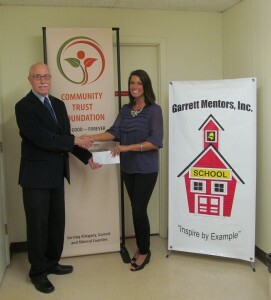 Community Trust Foundation Director and Grant Committee Chair Mr. Vic Rezendes stopped by the Garrett Mentors office to award us with this wonderful gift which will greatly impact our program and especially the children we serve!